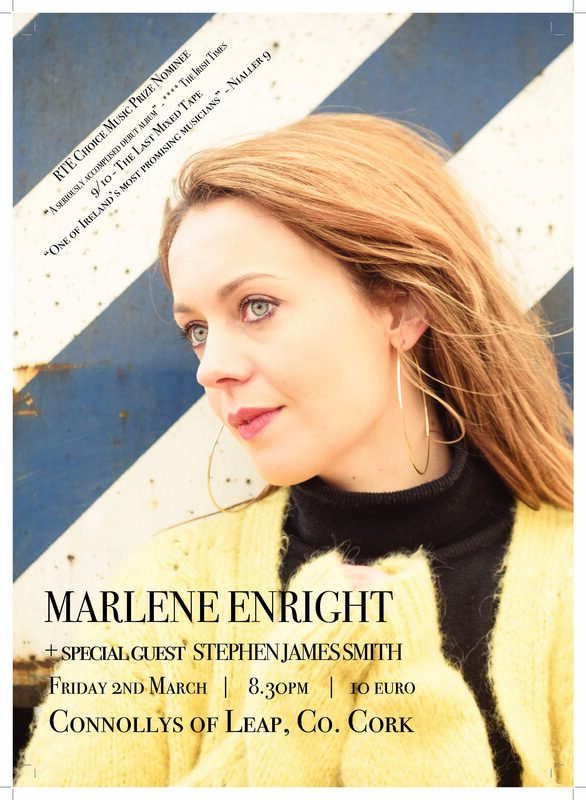 Marlene Enright’s solo debut showcases her passions and influences and has just got her nominated for an RTÉ Choice Music Prize – Irish Album of The Year. Written and recorded over a year, the result is a melange of the heavy grooves of RnB, the warmth and nostalgia of great folk songs and the richness of thickly layered harmonies. It is the sound of modern roots music, evolved as it has over decades to something that is unmistakably 21st Century, while still carrying echoes of the past.